Maria Mayrinck (also known simply as "Maridu") is a sponsored pro from Brazil who is playing the WSOP Ladies Event while her boyfriend, David "Bakes" Baker, is chipleader with 10 players left in Event #19 ($10,000 2-7 No-Limit Draw). Playing in this event allows Mayrinck to keep her mind busy so she isn't sweating Baker too much on the rail. 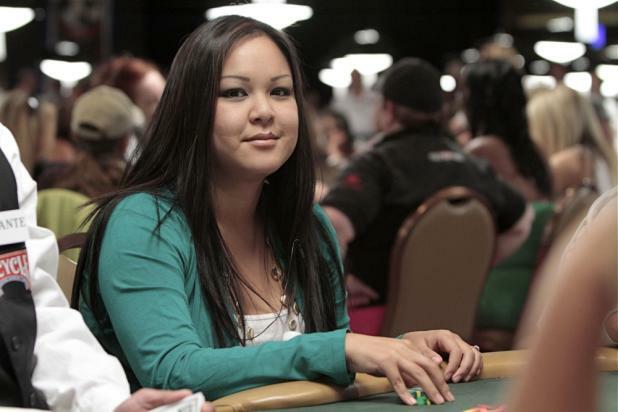 Tracey Nguyen, known online as "XTraCey" is a successful online player for whom the WSOP Ladies Event is just one of many bracelet events she's playing this year. Nguyen already has three WSOP cashes under her belt, but is still in pursuit of her first bracelet. 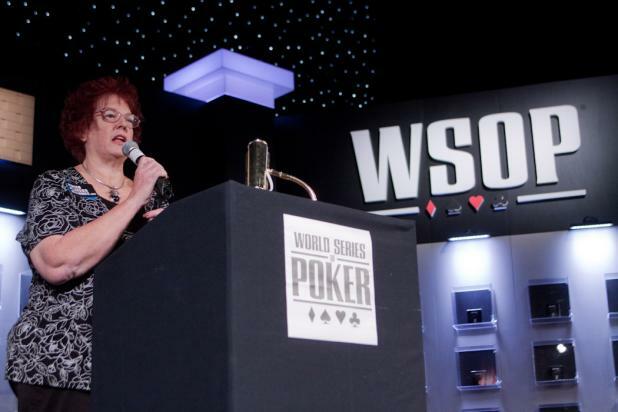 Jan Fisher was one of the original founders of the Tournament Director's Association (TDA), and she was inducted into the Women in Poker Hall of Fame last year. 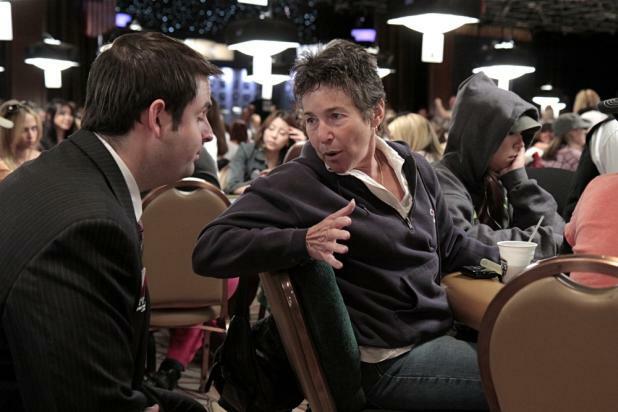 During the WSOP Ladies Event, she had a brief tableside chat with WSOP Tournament Director Jack Effel, possibly to discuss some of the issues arising from men playing in the Ladies Event. Tiffany Michelle adds a tie to her wardrobe as a symbol that the ladies can play just as well as the men. Or, that poker isn't just a man's game. Or, it's not a symbol at all. 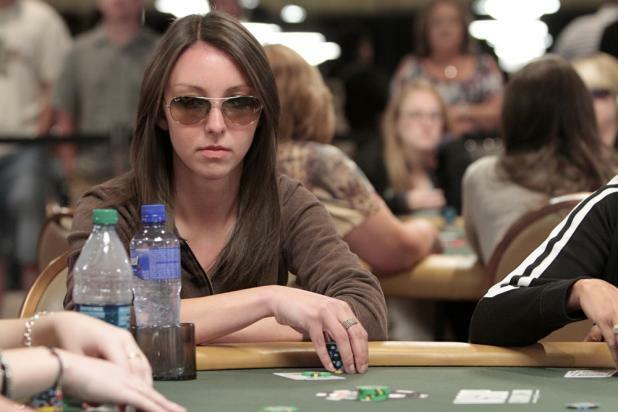 Regardless, Tiffany has gone deeper in the Main Event than any other woman, measured as a percentage of the total field (Tiffany finished 17th out of 6,844, or in the top 0.25%). With her best friend Maria Ho, she was also a contestant on the hit TV show, "Amazing Race." 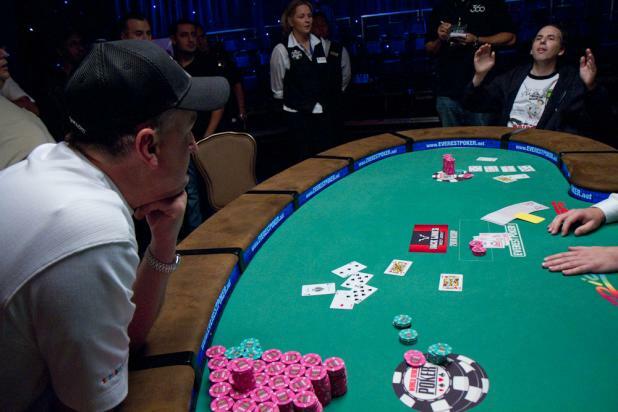 The WSOP Ladies Event is just one of many for Maria Ho, who considers her best game to be limit hold'em. (She just missed the final table in last year's $10,000 Limit Hold'em event.) 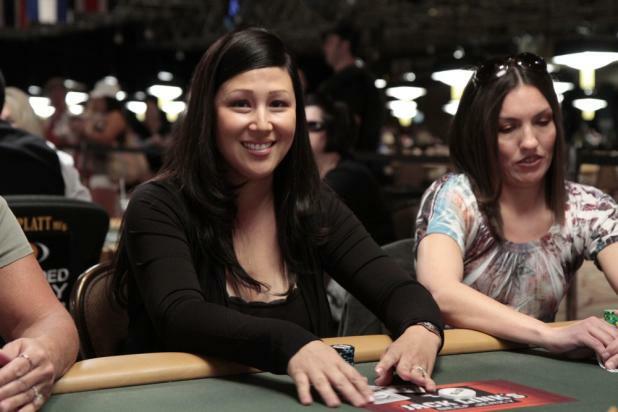 One of the most recognized poker players, Maria was the last woman standing in the 2007 WSOP Main Event, and last year she teamed up for the TV show "Amazing Race" with the last woman standing in the 2008 WSOP Main Event -- her best friend, Tiffany Michelle. 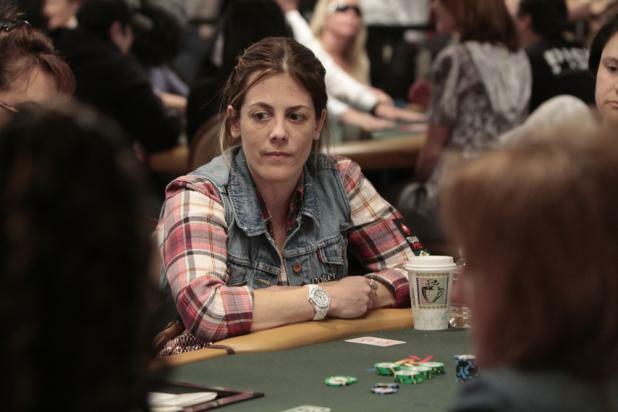 Jean Giufre surprised some people by playing in the WSOP Ladies Event, because she hasn't played a major tournament in several years as she started a family. Formerly known as Jean Gluck, Giufre had a great time as she played her way through most of Day 1, busting less than half an hour before the end of the day. While the WSOP dominates poker's calendar in the summer, Jacque Williams spends the rest of the year working as the hostess of the World Poker Tour. Linda Johnson, known as "The First Lady of Poker," welcomes a field of 1,054 players to the start of Event #22 ($1,000 Ladies No-Limit Hold'em). Johnson earned her nickname through a lifetime of good work in the industry, where she served as an ambassador to all players, and not just women. Johnson was the publisher of Card Player Magazine for nearly a decade before selling it to the current owner, Barry Shulman. Johnson is also a strong player herself, and was the third woman in WSOP history to win a bracelet in an open event (1997 $1,500 Razz). As the final cards are being dealt in the final hand of Event #15 ($10,000 Seven Card Stud Hi-Lo), Frank Kassela points out that Allen Kessler picked up two pair (tens and eights) on sixth street, with a chance to scoop the pot if he makes a full house. Kassela leads the hand with a higher two pair, queens and sevens. 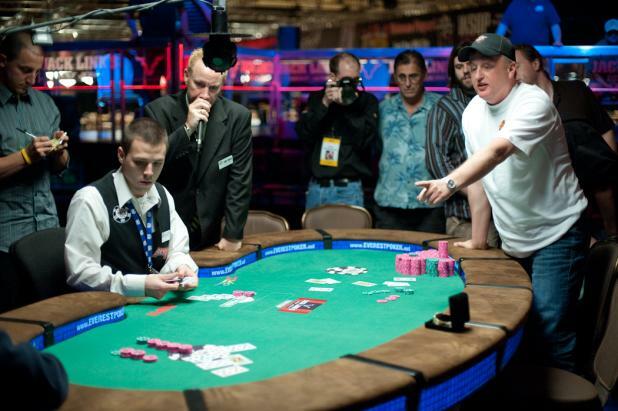 But as Kessler expected, the last card was no help, giving Frank Kassela the victory -- and his first WSOP bracelet. Allen Kessler turns over his seventh card to find a four -- he scoops the entire pot to double up with a pair of sevens and a 7-low. This is the biggest celebration of the night for Allen Kessler, but it's low key compared to any other player. Kessler's negative attitude evoked a memorable line from Frank Kassela earlier in the evening: "I'm happier when I lose than Allen Kessler is when he wins."